The New Respects recently announced their debut EP, Here Comes Trouble via Credential Recordings. The record is set to be released on March 10. The Nashville group are set to go on the road supporting Robert Randolph & The Family Band beginning March 15. See below for tour dates. 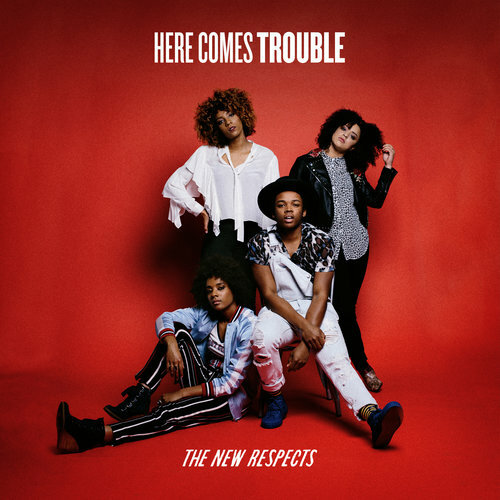 The New Respects enlisted the help of Jeremy Lutito (of rock group Leagues) to produce Here Comes Trouble. Two tracks have been released from the EP, "Trouble" and "Money." The New Respects is a family affair, made up of three siblings, twins Alexis (bass) and Zandy Fitzgerald (guitar), along with their brother Darius (drums), and cousin Jasmine Mullen (vocals/guitar). The group is heavily influenced by the gospel music they were surrounded by growing up in Nashville, which extends to artists including Aretha Franklin, Alabama Shakes, and John Mayer.